This feminine necklace is from the Gucci Icon Blossom collection. 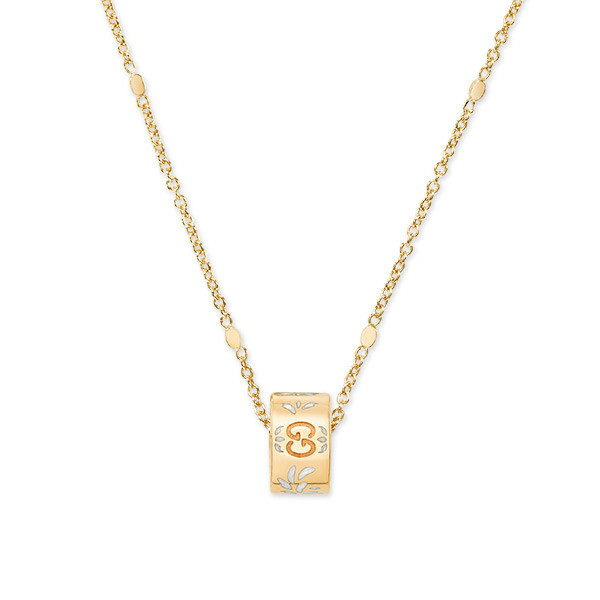 Crafted in 18kt yellow gold, it features a pendant with the designer's interlocking G motif and an engraved blossom design in white enamel. The radiant piece of jewelry closes with a lobster clasp. Your style will blossom beautifully when you wear this Gucci necklace!